It's not the calculator from Win 7 or Win 8. The "classic" calculator is not so good, IMO, as the native Windows 10 one. I'm talking here of function rather than appearance, which matters not one whit to me. I agree, the W10 calculator has a lot of nice functions. Personally though, the metro super-sized touch button look does grate a bit with me. Personally though, the metro super-sized touch button look does grate a bit with me. This seems to be the trend in UI design. OS X has gone for a very similar look, steering away from the 3D elements that we were used to and going back to a flat design. It certainly has the advantage of making the interface more responsive. I think it's really just a matter of getting used to it. I'm beginning to prefer the flat designs to the older ones. Flat design is one thing. But when the mouse cursor fits 15 times over into one button on the calculator, the sizing issue becomes ridiculous. it is meant for touch screens, as we all have touch screens these days, so I have been told by the Halifax when I complained about the new look online banking site. If I want to use online banking on my phone then I use a App, I do not need a redesign of the online banking website. This is completely incorrect. Windows 10 is designed to work well on both normal PCs and tablets with touch screens. You can switch between the two. And with one of the modern PCs that is designed to act as laptop and tablet Windows 10 will automatically switch between the two when you fold the keyboard back or detach it. The Windows 10 calculator acts as a normal application if you are not running in tablet mode; it can be resized just like any other application and has more functionality than the calculator supplied with previous versions of Windows; it is simply a better product. In tablet mode the calculator will, by default be full screen. But, like all full-screen apps it can be reduced in size to run alongside other apps. I'm afraid that a lot of the comments that I see about Windows 10 clearly come from people who have never used it, or have used it once and thrown up their hands in despair. You must expect a new version of an OS to differ from previous ones. If you are unable to get your head around that, and can't spend a few days learning new features, just stick with the previous version but don't spread untruths. I was not on about Windows 10 as such, I am on about the way things are going, websites being designed for touch screens, but to be honest, Windows 10 apps are made more for touch screens. As for using Windows 10 I was using it for months before it was launched and a couple of months after so I know how it works and I know it works ok on non-touch screen machines. As for working well, that is another thing. i know the Windows 10 calculator acts as a normal app, well a normal modern app and can be resized, but it still looks awful and even resized the buttons are larger than they should be. I just prefer the original one, I do not need an all singing all dancing one, just a basic one. 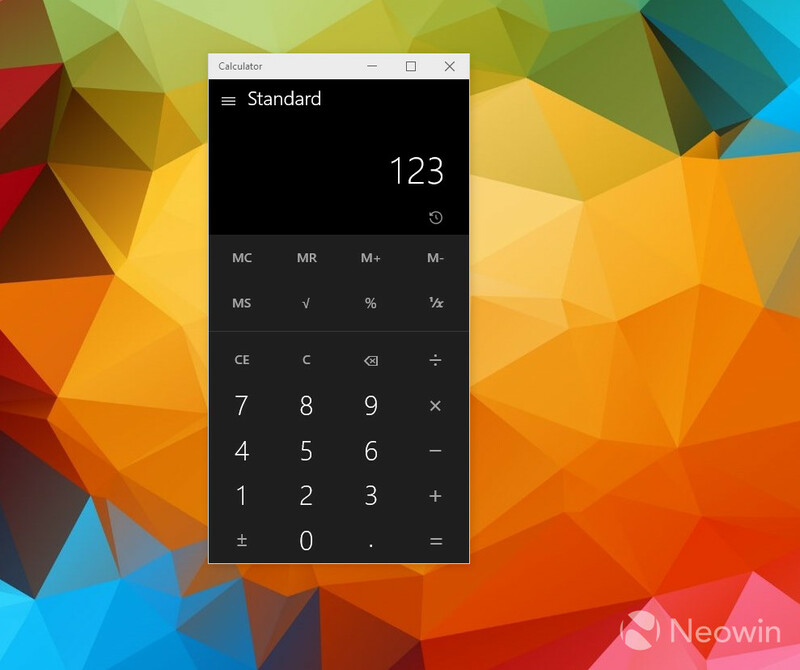 windows 10 Calc, compared to the look of the original one here. No comparison, the old one looks much better. I found a why to get it on Windows 10via this site. to be honest, Windows 10 apps are made more for touch screens. That is not being honest. It may have true to a certain extent for Windows 8 and, to a lesser extent, Windows 8.1 but the whole programming model has changed in Windows 10. A well-written application will be adaptive depending upon the hardware that it is running on and the mode that hardware is running in. This silly discussion about the calculator is a perfect example. It works just fine as either a tablet application with a touch screen or a conventional application; and it works just as well on a phone. It doesn't have overly large buttons, and it does not need a touch-screen device to attain full functionality. As I said before, it is a much better product than the calculator in previous versions of Windows. All this rubbish about "Windows 10 is designed for touch screens/tablets/phones" is just pure ignorance. It certainly is designed to work well on such devices but it also works well on conventional desktops. Apple would give their back teeth to produce a single OS like this that works so well across the full range of devices instead of their disparate OSs.